Our team has got years of hands on experience in creating customized mobile applications that can make your users to work on real-time. 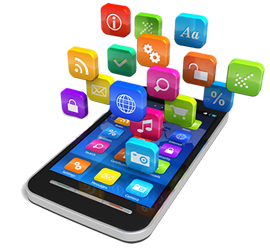 We make native mobile apps for any platform as well as make hybrid (cross-platform) apps. Adding to it, We develop websites and their mobile versions and make them responsive. Our Mobile App Consultants and Architects have helped many companies roll out robust mobile apps across diverse platforms. Our Mobile applications foster amazing possibilities for conversation and engagement with audience anytime anywhere. We are technically sound with dedicated in-house mobile application team serving the following mobile apps requirement.